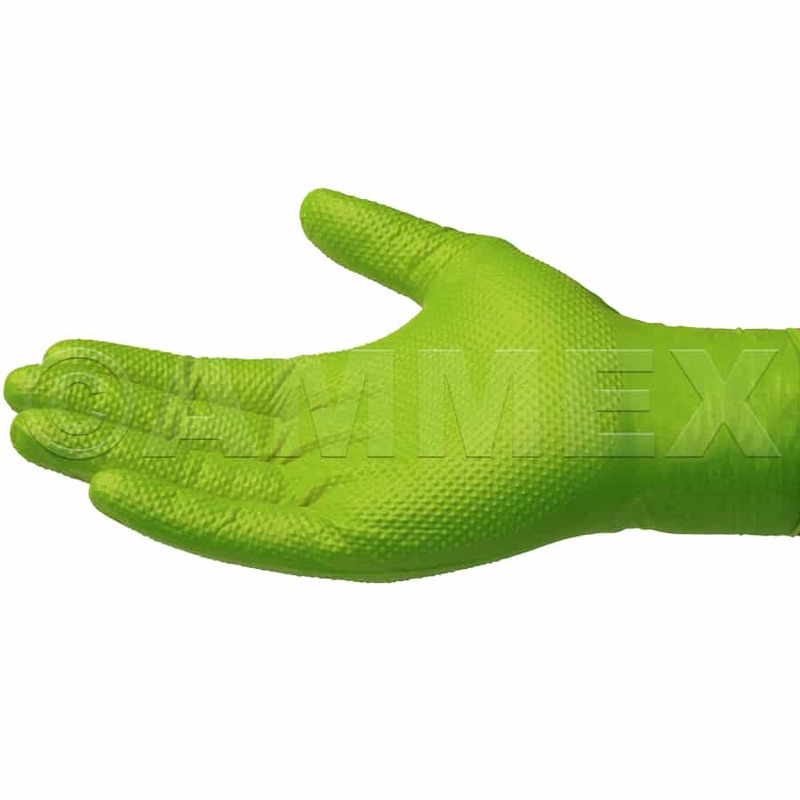 High visibility green with raised diamond texture for your toughest applications. 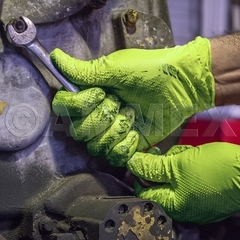 Gloveworks Heavy Duty Green Nitrile Gloves. Diamond Textured, Beaded Cuff, Chlorinated, Latex Free, Ambidextrous. Use for Automotive, Industrial and Chemical.